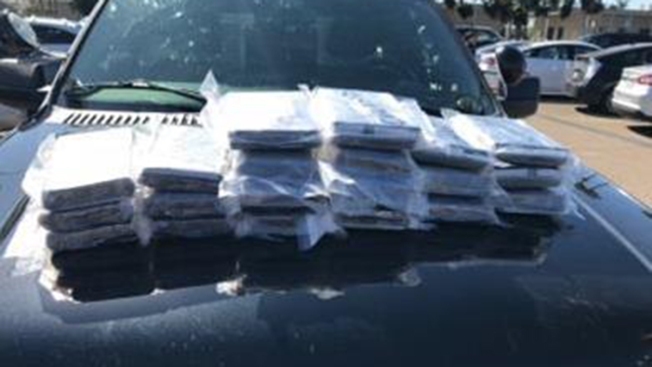 On Wednesday, at around 2:30 p.m., U.S. Border Patrol agents and detectives with the San Diego County Sheriff’s Border Crime Suppression Team stopped a couple for a speed violation as they traveled on westbound State Route 905. According to the San Diego County Sheriff’s Department, driving the 2004 Mitsubishi Endeavor was Marilu Escamilla, 24. She was accompanied by her boyfriend, Fernando Camargo, 36. During the traffic stop, the sheriff’s department said a K-9 officer alerted detectives to the presence of drugs. The car was searched and officials discovered more than 44 pounds of powdered fentanyl hidden within the Mitsubishi. UC San Diego emergency rooms have received more funding, drugs, and personnel to tackle the opioid crisis across the county. NBC 7's Liberty Zabala reports. 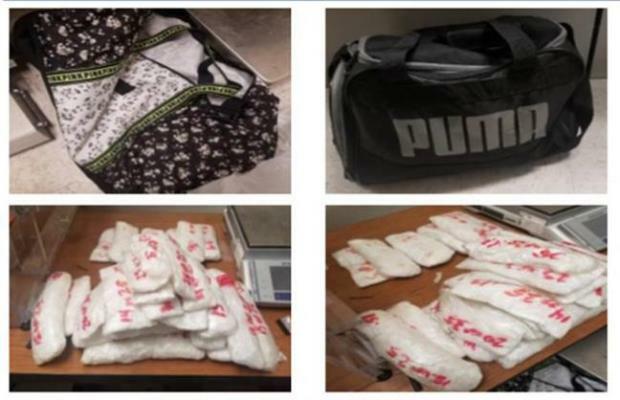 The sheriff’s department said the narcotics were estimated to have a street value of more than $1.5 million. Escamilla and Camargo were arrested for felony transportation of controlled substances. Detectives believe the couple planned to sell the fentanyl. Escamilla was booked into the Las Colinas Detention and Reentry Facility, while Camargo was booked into San Diego Central Jail. Each suspect is scheduled to appear in court on April 22; bail, for each, was set at $750,000. The sheriff’s department said seizures of large quantities of fentanyl – a powerful, synthetic opioid with a high risk for addiction – have become increasingly common in San Diego County. According to the United States Drug Enforcement Administration, fentanyl is 80 to 100 times stronger than morphine. The drug is often added to heroin to increase that drug’s potency. The San Diego County Sheriff’s Department said powdered fentanyl is “commonly used to produce counterfeit pharmaceuticals.” In San Diego, law enforcement regularly encounters counterfeit Oxycodone and Xanax pills laced with fentanyl. “Due to a lack of quality control by the drug suppliers the fentanyl dosage in the pills can vary and lead to unintentional use and accidental exposure often leading to overdose and death,” the sheriff’s department added. The opioid crisis continues to sweep the nation. Last month, UCSD Health received a $250,000 grant to help tackle the problem in San Diego County. According to UCSD Health, San Diego County experienced 7,500 opioid-related emergency room visits and 500 opioid-related deaths in 2018. The health agency said that in the past five years, there has been a 1,000 percent increase in fentanyl-related deaths nationally. Learn more about how local emergency rooms are dealing with this here.